There are chemical free and organic ways to change the color of your hair. Over a gradual period of time you can achieve your desired color and retain the ability to control the intensity of the shade. There are homemade and organic options to dyeing your hair. From natural spices and plant extracts you can make a change to your hair shaft and create a new color but the process is not an automatic one. Depending on the chemical state of your hair now and how dramatic a change you want to make, the organic dyeing process for your hair can take days, weeks or months to accomplish. Having a certain level of commitment and patience is a bonus when trying to dye your hair in an organic way based from home. The following are ways to lighten your hair organically. Keep in mind that if you are starting off with very dark hair that the process of changing shades will take a bit longer. Mix 1 cup organic lemon juice and 3 cups Chamomile tea. Message into your hair and spend some time in the sun. Far faster results repeat a few times a week. Mix up mashed organic Rhubarb with 4oz organic pineapple juice. Let the mixture soak into your hair and spend some time in the sun. Mix 3/4 cup honey with 1 1/2 cups organic plain yogurt to damp hair. Massage into your hair and wrap head in saran wrap. Let sit for up to eight hours and rinse. Mix 4 tablespoons Cinnamon with 8oz yogurt. Message into hair and let it soak in for 30 minutes. Mix 1/2 cup organic Beet juice and 1/2 cup carrot juice. Message into hair and let sit for one hour. Boil 1 cup Rosehips in 2 cups of water. Strain and massage into hair. Can be left in until next shampoo. Boil 3 Hibiscus tea bags down in 2 cups of water until you have 1 to 1/2 cup of liquid. Massage into hair. This can also be left in until your next shampoo. Boil down 1/3 cup crushed marigold flowers in 2 cups water. Strain and add 1 cup of red wine. Massage into hair and leave in for 30 minuets. Boil down 1/2 cup of dry organic Sage in 2 cups of water. Strain and massage into your hair. Leave in for 40 minuets and rinse. Boil down 1/3 cup walnut shells, 3 black tea bags in 2 1/2 cups of water. Strain and massage into hair. Leave in until next shampoo. Steep a strong tea from black tea leaves and cherry bark. Let steep until the color is as dark as it can get. Massage into clean hair and leave in until next shampoo. Brew some coffee. Leave it black and allow it to cool. Massage into hair and let sit for 15 minutes. Rinse hair with warm water. All of the above organic ways will color your hair in gradual intervals. The hair shaft color won't change completely in one application but the benefits to coloring your hair in an organic way will leave both you and your hair in a healthy and chemical free state. The measuremants could vary depending on how much and the length of your hair. 1. Combine cinnamon powder and hair conditioner in a one to one mixture. The amount you will need depends on the length of your hair; however, you should have enough to evenly coat your locks from root to tip. 2. Wet your hair and wring out the excess water. Comb your hair carefully to release any tangles which may prevent even distribution of the cinnamon and conditioner. 3. Apply the cinnamon and conditioner mixture evenly to your hair, mixing an extra batch if necessary. While you can't use too much, if you use to little your lightening will end up uneven and streaky. You can comb through your hair periodically to help move the cinnamon and conditioner evenly throughout. 4. Gather your hair in a bun and secure it with a hair clip. Cover your head with a shower cap and leave the cinnamon and conditioner in your hair overnight. Rinse the mixture from your hair in the morning, shampooing as normal. If you would like to lighten your hair a bit more, apply the mixture again with no worry about damaging your hair. If you have dry hair and would like to add an extra conditioner to your cinnamon lightener, add an egg yolk or two to the mixture before applying to your hair. 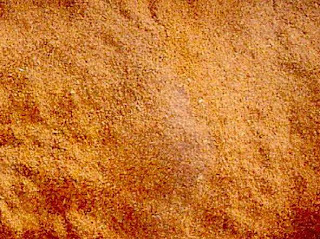 Cinnamon is a skin irritant , your scalp may tingle . But, should stop after a while. 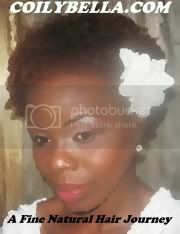 I am thinking about trying the cinnamon hair lightner recipe ( maybe I haven't fully decided yet) on my next wash day. But , I plan to add honey to my mixture for a extra bit of lighting enhancement during the lightning process. I will keep you guys posted. Have any of you ladies used organic homemade hair dyes ? if so, share your recipe and / or your results. •Castor oil contains Omega-9 fatty acids which help moisturize the hair and the scalp preventing both from becoming dry. •Does castor oil help hair grow? It sure does. Regularly applying castor oil to your scalp and roots to eliminate dry hair and promote regrowth of hair within months. It will also help to thicken hair that is thinning out. •Helps reduce and prevent damage. Also can hide the appearance of damage while trying to improve your hair's health leading to thicker, fuller hair over time. •You can also experiment with adding some castor oil to your conditioners for a deep conditioning treatment. You'll have to experiment with the amount of castor oil to use to avoid greasy hair. I would start off with a small amount like a teaspoon or less. •Castor oil is versatile in that you can mix it with other oils to still receive the benefits but avoid the super-thick consistency. Try mixing it with Sweet Almond Oil to make it a lighter oil that is much easier to spread and gives it a nice scent. •You can also experiment with castor oil for hair on your ends. This rich, thick oil will help your ends becomes shiny and hide the appearance of frizzy, damaged, and split ends. Over time, as you trim damage away, you'll notice your hair won't develop split ends as easily. Since it is so thick, you may want to mix it first. Castor oil can be used in homemade recipes just like many other oils. One thing to note: Don't apply castor oil full-strength to the rest of your hair because it may be difficult to rinse off thoroughly due to its consistency. 1.Apply to the scalp and roots of your hair. You'll want to repeat this treatment once a week for 6-8 weeks to notice a difference in hair loss or thinning. As you can see, castor oil for hair has many benefits in that it helps with hair growth, thinning, and is versatile to use in hair recipes. I currently use castor oil mixed with Emu oil in my hair as well as in my two oldest daughters hair. This mixture is one of my all time favorites. I also put a little in my Deep moisturizing conditioners from time to time . Castor oil leaves my hair really moisturized and makes the roots of my hair and scalp feeling nourished. I have to admit my oil regimen change's from time to time depending on what my hair needs. But, for right now Castor oil is a keeper !!! As salaamu alaikum & Hello, ladies . For awhile now I've been using black soap to shampoo my hair. I was using Dr. Bronners, But I like the black soap better for my hair. Not, to mention it is super cheap & last forever ! 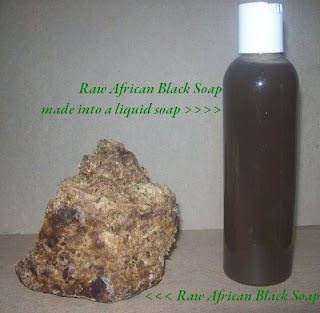 I get my black soap from a local africian market in the area in which I live. My oldest daughter and I use it to clean our faces and it is great, I love this stuff. 1. Break off a piece of your black soap, only what's needed. Pour what's dissolved from your bowl or container into your empty shampoo bottle. Shake, shake shake! & be sure to shake well before shampooing. After shampooing with the black soap shampoo, squeeze all of the suds out of your hair. Before, rinsing apply a conditioner directly onto your hair with shampoo still in your hair. Work it through however you like , then rinse. This way is one of my favorites!!! As salaamu alaikum & Hello, I often come across a post here & there in reference to protein and moisture. And having a balance between the two. I happen to be one who totally agree with having an equal balance between the two. And let me tell you my hair is really doing well once I understood that my hair needed both. Since, incorporating protein into my regimen my hair is much stronger. I do a protein treatment ( avocado treatment, see post avocado deep conditioner remix) every other wash. Always, followed up my a deep moisturizing conditioning treatment. Do you use protein at all on your hair, if so share with us here at AuNaturale what you use. And share, your overall experience since incorporating protein. 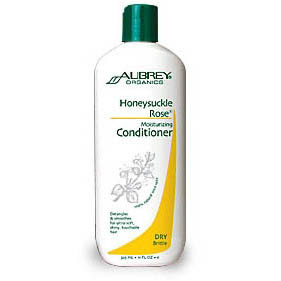 Creamy conditioner ( I use Aubrey's Organics Honeysuckle Rose). Scalp oil of choice- to be applied to scalp only ( I use olive oil or castor oil) message scalp for a couple of minutes or more. Coconut Oil - to be applied from roots to ends only. All into the bowl apply generously to your hair , dont forget to show the ends of your hair some love to. Cover with cap or saran wrap. sit under dryer or heating cap. For 30 minutes on low-medium heat. Then allow it to sit on your hair another 30 minutes without heat. Rinse, rinse rinse & proceed. The measurements are totally up to you and what your hair likes, you can add or substitute the ingredients to your liking. 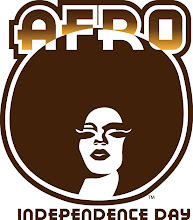 African American hair is at its healthiest when it contains the right amount of moisturizers and oils. Without oils and moisture, the hair can become really dry and brittle. Also, African American hair is course and the cuticle shaft is raised, which makes it easy to lose oils. It’s amazing how the right products can help change the appearance of your hair, but sometimes, daily styling is not enough to achieve the look and feel you want. If you’re suffering from dry, brittle hair, you may want to do an oil rinse. Oil rinses are great treatments for natural hair and can help soften follicles and promote hair growth. 1. Begin by washing your hair with your favorite shampoo. Use warm water to open pores and really get your scalp clean. 2. Next, generously apply your hair oil, making sure to apply it to the hair, not the scalp. Do this with warm water, so the hair can soak up the oil. If needed, finger comb your hair in the shower to get rid of tangles. Also, you can use your hands to divide hair into sections and apply oil throughout. 3. Rinse hair with warm water, making sure to thoroughly massage hair and scalp, while letting the water glide through. 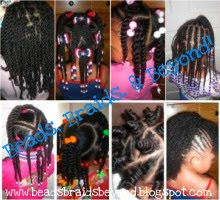 At this point, hair should be extremely soft to the touch and tangles will be easier to manage. 4. Now, apply about two quarter-sized dollops of conditioner. Gently massage hair, making sure to really work in conditioner. If you want, use a wide-toothed comb to distribute conditioner throughout. The objective is to treat your hair; so do not spend too much time on your scalp. Concentrate on your hair and pay even more attention to your ends. 5. Use cool water when rinsing out your conditioner. This will help remove some of the oil residue. Also, the cool water will help smooth your hair cuticles, resulting in lots of shine. Do an oil rinse once a week to start. Depending on your hair type, you can adjust the frequency of your oil rinses. Since oil rinses coat the hair, be careful not to over do it with other products. If you do, this can result in build up on the hair. I apply oil rinses to my hair , using either ( castor oil, olive oil or coconut oil) when needed and my hair loves them ! As salaamu alaikum & Hello, I just wanted to take a minute and give recognition to all of the natural hair ladies out there. For being, FEARLESS! and CONFIDENT!. To all of the natural hair bloggers out there. There are some fabulous natural hair blogs out there where you can find encouragement, inspiration, tips, ideas , product reviews, plus more. The entire natural communities rock where ever you are. 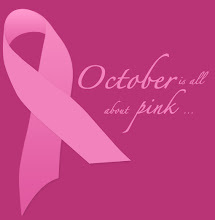 Keep it going you ladies you are, such a inspiration! As salaamu alaikum & Hello ladies, I have heard a lot of good things about this oil. So, I decided to purchase a bottle, and the price $2- $3, you really cant beat that. I have used it now for a couple of days, and I must say I really, really like this oil. It is very light, and to me the smell really isn't that bad, it leaves my hair supper soft and shiny. So, have any of you / or do any of you ladies currently use this oil, if so share with us here at AuNaturale your results. How do you like it ? P.S. THIS OIL DOES CONTAIN TBHQ ( t-butyl Hydroquinone) fragrance. Which has been said to cause liver damage. It is the very, very last ingredient. Which probably means that it contains very little of this ingredient. I plan to do a bit more research on this ingredient, if I find this to be of truth. Although, I really do like this product, it's surely not worth my health. And, I will not continue to use the bottle I currently have nor repurchase any more. I will keep you guys posted. There are a variety of exotic oils to be found in the skin care aisle today. It can be a bit intimidating to say the least. We are familiar with some, others we wouldn't know if they were sitting right in front of us. Kukui Nut Oil may be one of these. 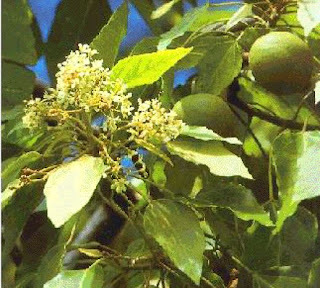 Unless you are a native Hawaiian you may not be familiar with this wonderful oil. Hawaiians are very aware of Kukui Nut Oil as they have been using it for many years. Kukui Nuts come from a beautiful tree that was actually brought to Hawaii by the Polynesians. It has the botanical name of Aleurites Moluccans, and it is Hawaii's state tree. The Hawaiians are very proud of the Kukui Tree and it's nuts. They fashion jewelry from the nuts and it is quite lovely. But, this is not really the focus of this article. It is the oil that the nuts supply. Kukui Nut Oil is really quite precious. The people of Hawaii would "anoint" their infants with Kukui Nut Oil, thereby protecting them from the ravages of the salt, the sun, the wind, and other elements. Not coincidentally, the word "Kukui" means "Enlightenment" in Hawaiian. In skincare, Kukui Nut Oil is a luxuriant and versatile oil. It moisturizes and softens very well, but does not leave an oil slick. 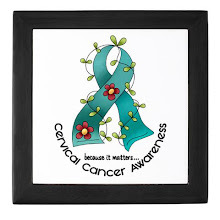 With regular use, it promotes healing in these conditions also. It does have a short shelf life (what they consider a fragile oil). 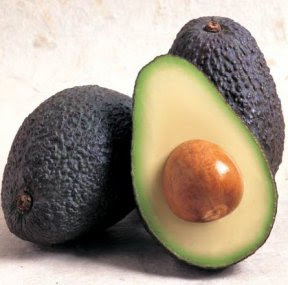 Most producers will add antioxidants (small amounts of vitamins A, C, and especially E) to extend the shelf life. This is great, it just adds some benefits for the skin to boot. Kukui Nut Oil has been found useful for the treatment of sunburn. Kukui Nut Oil is a wonderful oil to use on mature skin. A great way to use this is after cleansing and toning (hydrosols make wonderful toners). You can mix a few drops of carrot seed essential oil (or Neroli, Frankincense,or other skin friendly EO-good for mature skin) in with Kukui Nut Oil, shake well. You now have a great skin oil-- that you can take just a few drops and smooth over your slightly moist face after using your toner. It soaks in nicely, and leaves you so silky soft. Naturally. People have reported that Kukui Nut Oil may help reduce scarring when applied to scrapes and abrasions. 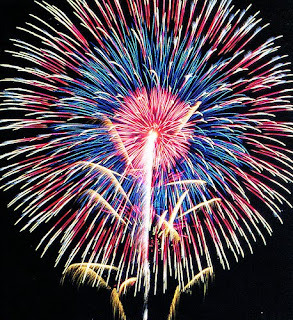 Some eczema sufferers have had good luck using Kukui Nut Oil. Some have also reported its use has lessened the scarring. 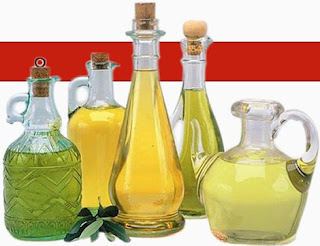 It is very high in linoleic and oleic acids. Kukui Nut Oil is wonderful as a nourishing massage oil. As an interesting piece of trivia, it was used in this manner to massage Hawaiian Royalty, who were indulged with massage marathons....7 hours or more. So if you want to feel really indulgent, treat yourself to this one. Kukui Nut Oil can be used to make one of the best hair and scalp oils. It is very moisturizing to your hair and soothing to a dry scalp. You can also add the oil into the bath, or after a shower put the oil on your body while you are still wet....So silky soft! I have never tried this oil, ladies if you are interested in this delightful sounding oil. Give Mountain rose herbs company online a try. If any of you , have ever used this oil, share with us here at AuNaturale your results. 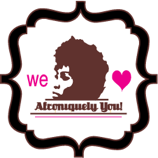 As salaamu alaikum & Hello ladies, I would like to send a special thank's to the beautiful Chocolate Orchid. 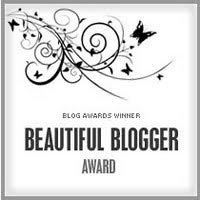 For passing the "Beautiful bloggers" award to me, you can find Chocolate Orchid's site at http://chocolateorchid.blogspot.com/2010/03/beautiful-monday-to-ya.html There you will find tons & tons of very beneficial information in relation to natural hair, healthy eating, tips & ideas. So having been given this wonderful Award , my job is to list 7 things about myself. And then pass this Award onto 15 people. That may be the hard part, I will try my best to come as close to 15 a possible. So here it goes. 1. I homeschool 4 out of my 5 children. 2. I am very passionate about charity. 3. 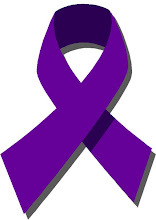 I would love to open up a non- profit organization in the way of helping women and children. 4. I really enjoy befriending & meeting other like minded women. 5. I really enjoy cooking. 6. I am really a stickler for higher education. 7. I am a serious clean & neat freak. TO LINK TO THESE BEAUTIFUL BLOGGERS JUST CHECK UNDER MY BLOGLIST, YOU ARE SURE TO FIND THEM THERE. 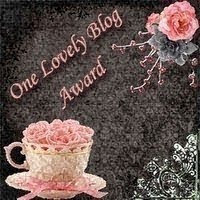 YOU CAN FIND THE "BEAUTIFUL BLOGGERS" AWARD OVER ON THE SIDE OF MY SITE UNDER " AWARDS"